This scolopendra looks incredibly great. Where is it endemic? Poor thing.. stuck in a cage.. free that centipede! It'll harm you and kill you when it bite, and you die. I know they bite coz i see internet say it's not good. In-fact such a small place is not for him! He desereves to live in the wild!! It is actually Floridas version of the Hatian pede. And sorry about your luck Jack, this thing will stay with me until he dies an old age. Their bite IS NOT deadly. Cant believe everything you read on the internet. There has been 1 reported death from a Vietnamese pede, a 12 year old girl. Bit on the head and died 11 hours later or something. WOAH. Voynich. Please slow down boy. First of all, that is NOT a cage. 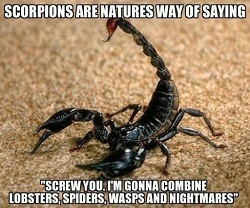 Second, that centipede prefers living in such an environment. Hello? We are fond of them. And if MillBrey will release that animal outside now and immediately, it'll suffer and probably die. Please be a little bit sensitive next time. Do not believe anything you see in the internet. No offense. No offense? You just offended me you idiot Stupid people like you should be in hell. Floridas and Hatian?? that dont make sense. You gjust have to release the poor centipede it will suffer inside that small enlosur it will not grow and when it will, it definitely won't fit. you're so stupid. Voynich. You are now banned. MillBrey Exotics, please clarify his mistakes..
Ok, well first off this pede is as big as its going to get, full grown at 6 inches. When I say floridas version of the hatian pede, I mean that the hatians grow to 10 inches. Some even make it to 12. This pede has a much better chance living a longer life under my care than it does in the wild. Here it will get insects without a pesticide coating, no birds or spiders will try to make it their dinner and I can control the humidity and temps to keep him comfortable. You, my friend, and I say that lightly, are what will make this hobby take a nose dive. You should research things before you try to make it sound like you know everything there is to know about anything. Im sorry you had to be banned because your ignorant to the facts, but it saved you from future bashings im sure. Have a nice day.